MORRISON EXPRESS SERVES A MANUFACTURING BASE IN JUAREZ AND OTHER MEXICAN CITIES: The company moves products like automotive materials, tablet and technology components, synthetic rubber, and specialized polymers across border to FTZ in El Paso. 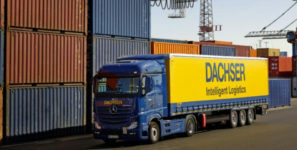 Logistics company expands U.S.-Mexico crossborder capabilities. Manufacturers leverage Morrison’s free trade zone operations. Morrison Express, a global logistics, transportation, and supply chain management provider, is expanding its offering in El Paso, Texas, providing enhanced cross-border capabilities and logistics. The company has been involved with United States-Mexico crossborder trade logistics for 15 years. Morrison Express serves a large manufacturing base in Juarez and other cities, moving products like lightweight automotive materials and skins, tablet and technology components, synthetic rubber, and specialized polymers. Manufacturers who have employed American and Mexican back-shoring programs allow suppliers in Asia, the U.S., Canada and Mexico to cross the border for light assembly or even complete manufacturing, leveraging Morrison’s free trade zone operations, transportation, logistics, and customs expertise. Morrison Express also offers return merchandise authorization as a value-added program to manufacturers that are diagnosing issues, performing testing, and quality control and returning materials from U.S. retailers across the border and back to plants in Mexico. Morrison Express has a network of more than 300 company and agent offices across five continents.